Play media on your TV (was TV Streamer for Samsung TV, Panasonic TV, Sharp TV). Is there a better alternative to TV Streamer for Samsung TV? Is TV Streamer for Samsung TV really the best app in Entertainment category? 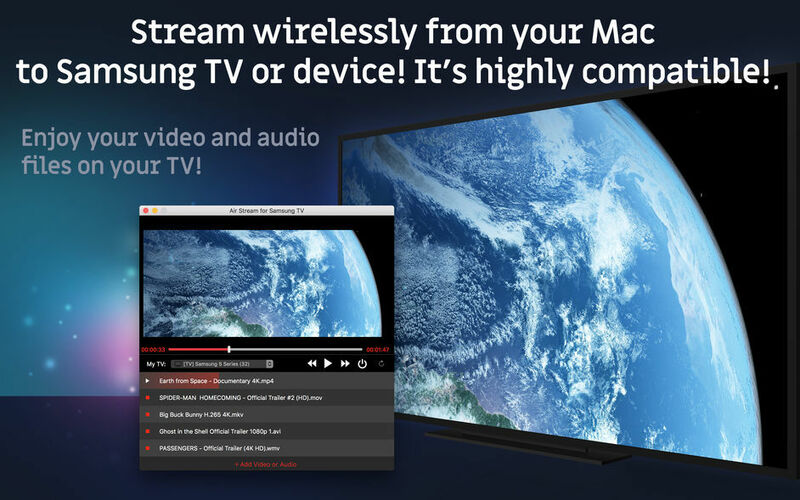 Will TV Streamer for Samsung TV work good on macOS 10.13.4? 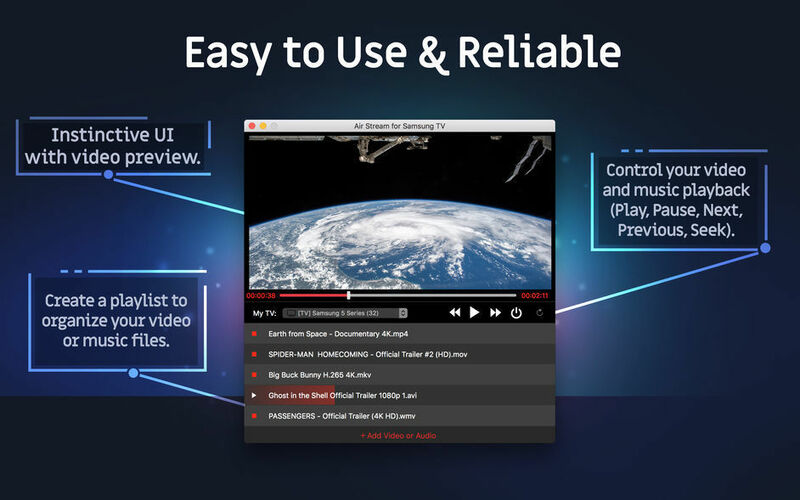 TV Streamer for Samsung TV (was Play On TV, then was TV Streamer for Samsung TV, Panasonic TV, Sharp TV) is designed to make playing media on your TV simple and easy! 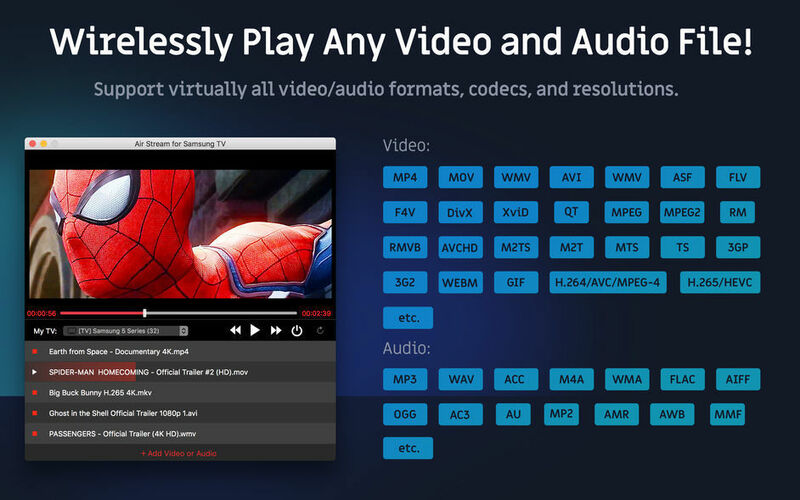 You can easily stream your video or music files from your Mac computer to your TV for playback instantly! Make sure your Mac and your UPnP/DLNA device are connected to the same network (by wired or wireless). 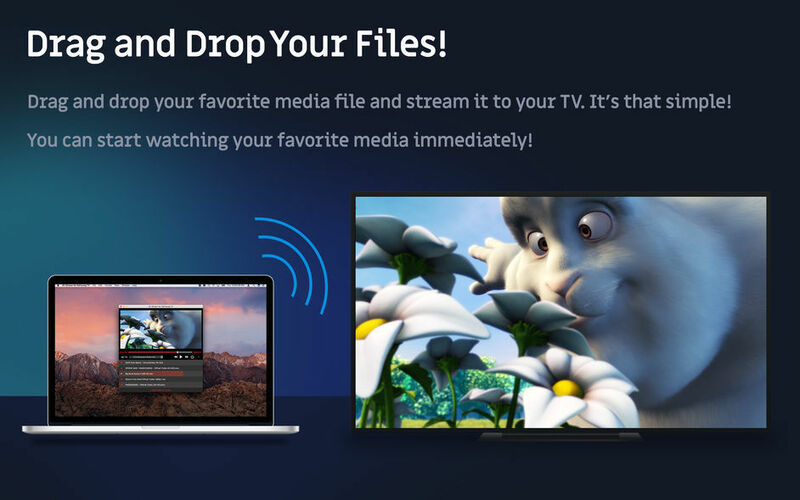 Open this app and select your UPNP/DLNA device, such as your TV from the list, then drag and drop your video or music files into the main window. TV Streamer for Samsung TV needs a review. Be the first to review this app and get the discussion started! 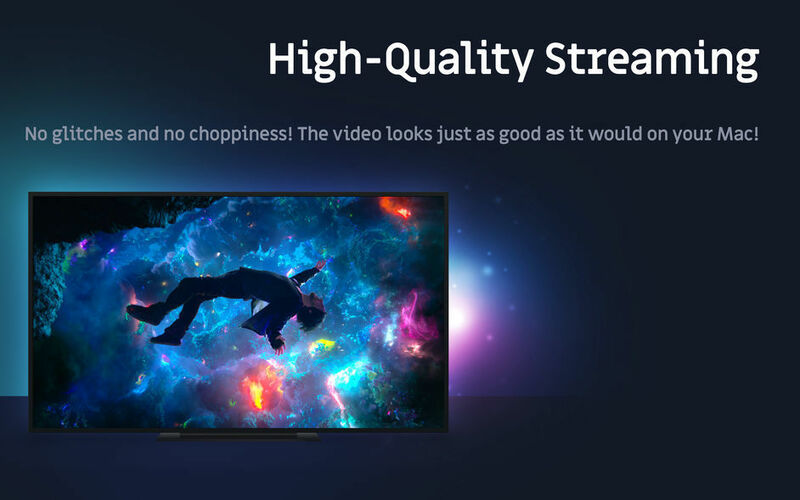 TV Streamer for Samsung TV needs a rating. Be the first to rate this app and get the discussion started! You should see your video or music starting to play on your TV.